graduated from Lumberton High School in 1976, from the University of North Carolina at Chapel Hill in 1980, and from the Hollins College Masters Program in Writing in 1981. She has written five novels: The Cheer Leader, July 7th, Tending to Virginia, Ferris Beach, and Carolina Moon. Her two collections of short stories are titled Crash Diet and Final Vinyl Days. McCorkle acquired a remarkably full literary resume at a very young age; she was 26 years old when she made publishing history in 1984, having her first two novels published simultaneously. While a student at the University of North Carolina at Chapel Hill, she was the recipient of the Jesse Rehder Prize, the University's most prestigious writing award, and she received her B.A. with highest honors in Creative Writing. As a graduate student at Hollins, she won the Andrew James Purdy Prize for fiction. 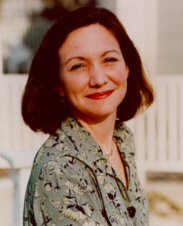 After earning her MFA, she taught writing at Duke University, Tufts University, and the University of North Carolina. She currently teaches writing at Harvard University and Bennington College. Jill McCorkle's fiction has been four times selected by The New York Times Book Review for its Notable Books of the Year list. McCorkle received the New England Booksellers' Association (NEBA) award in 1993 for her body of work in fiction, and in 1996 she was included in Granta magazine's celebration of Best of Young American Novelists. McCorkle is a frequent reviewer for The New York Times Book Review and has also reviewed for The Washington Post, the Atlanta Journal-Constitution, New York Woman, and many North Carolina newspapers. Her short stories have been widely published in literary journals, commercial magazines and anthologies, including The Atlantic Monthly, Cosmopolitan, and Ladies' Home Journal. McCorkle's novels have had wide international distribution. Foreign rights have been sold in Britain, Sweden, France, and Japan. Paperback editions of The Cheer Leader and July 7th were released by Viking-Penguin (Contemporary American Series) in 1985 and were reissued in 1992 by Algonquin's Front Porch Paperback series. Tending to Virginia (1987), Ferris Beach (1991), and Carolina Moon (1996) were represented by Fawcett. Jill McCorkle is married and the mother of two children. She lives near Boston, Massachusetts. Like many authors, Ms. McCorkle began to write as a child, but it was as a Sophomore in college that she seriously began her writing career. She sites such authors as Eudora Welty, Katherine Anne Porter and Truman Capote as being among those who inspire her, and says, "I still cling to Harper Lee's To Kill A Mockingbird." Other works she enjoys reading are by more contemporary writers, authors such as Kaye Gibbons, Doris Betts, Richard Bausch, Smartt Bell, and Larry Brown, to name a few. Her list goes on as Alice Hoffman, Sue Miller, Jayne Anne Phillips, Tim O'Brien, John Updike, and Charles Baxter appear. Ms. McCorkle says she does not limit her reading to novels but also likes to read short stories and poetry. Authors Max Steele and Lee Smith and the founder of Algonquin Books, Louis D. Rubin, Jr.--all teachers at the University of North Carolina at the time--served as mentors to Ms. McCorkle during her career. "They are the reasons I continued writing," she says simply. Max Steele's collections of short stories and prolific author Lee Smith's beautifully written southern novels compliment Ms. McCorkle's own richly detailed creative voice. Her friends and family members assist her in her work through their continuous support. Even now, when her creative success is indisputable, Ms. McCorkle says writing is a constant juggle between meeting the needs of family and the constraints of work. She takes time where she finds it, with questions for this interview being answered during an out of town trip. Alone in her hotel room, she squeezes in all of the brief bits of work she can manage. "Before my children were born," she says, "I had the luxury of--if not a daily schedule--at least a more structured schedule. Now I just write whenever I can get the time. I'm constantly taking notes and writing smidgets of things, because, in desperation, that's the only way I can get there." Out of all of her creative ideas, Ms. McCorkle develops the ones she cannot stop thinking about . . . the ones with the strongest characters. Her writing habits reflect the same talent for balance that she displays in the rest of her life. She enjoys shifting back and forth between forms, with the writing of short stories offering her a break between novels. Whether she is working in her garden or decorating her collection of doll houses, she uses such breaks as "wonderful opportunities to think and let stories grow". This concept is in line with her feeling that what is useful for a writer can only be learned by experience and goes back to the advice many creative individuals give: to develop your craft, you must practice it. Ms. McCorkle considers Carolina Moon and Tending to Virginia to be her most satisfying works. When she published her first novel, Algonquin Books was just getting started. Louis Rubin read her work, so she was "in the right place at the right time". Drawing from a long history of oral tradition in the south, Ms. McCorkle evokes the honesty of the land and characters around her. Following in the footsteps of authors like Harper Lee (To Kill A Mockingbird), Carson McCullers (The Heart is a Lonely Hunter) and Sherwood Anderson (Winesburg, Ohio), she reminds readers of the poignant tragedy in real life while uplifting them with its wonder. Coming to her when she least expects it, the urge to write is also a studied habit. It is through a marriage of these two writing methods that Jill McCorkle spins her tales. Her advice to today's young writers is to "write and write and learn from your mistakes". In the classes she teaches, she encourages her students to be open minded and, always, to keep writing. When asked about the humor often found in her work, Ms. McCorkle replies, "I've been told that I'm funny. I love to be funny, and I'm disappointed when I'm not funny. I look for humor and sure enough it can always be found--sometimes in the most serious of moments--as a way of handling the situation. The funniest things in life are very often tied to something quite heavy and dark. What's being told isn't usually funny, but the way it's told is." Jill McCorkle considers her work to be reflections from a humanist, a term she prefers over "feminist writer". "I write about people who are figuring out where they fit in society and how to reach a certain level of acceptance," she says and continues, "Oftentimes I start out with an idea just because it is funny, but then I like to find the darker part of the story." It is this depth of character Ms. McCorkle develops that continues to fascinate her readers. She traces and finds the secret--of being human.